Despite being as far away from the UK as you can get, New Zealand does tend to remind many people of home. The sandy beaches of the North Island have been likened to Cornwall, while the rugged hills of the South Island are reminiscent of Scotland. English is the primary language, they drive on the left and you are just as likely to have a roast for your Sunday lunch as you would in Brighton. Of course, there are major differences too. Although it's the same size as the UK, the population of New Zealand is only just over four million – resulting in a lot of extra space per capita. 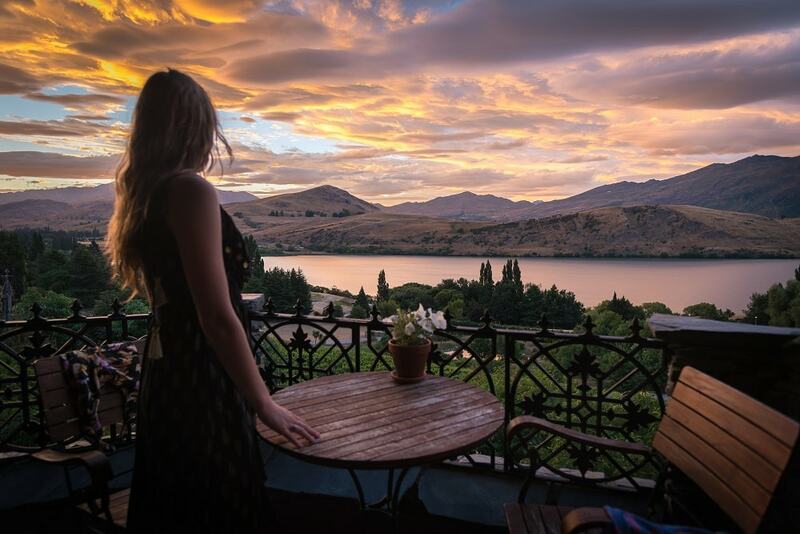 The weather is also better, with the North Island boasting hotter summers and milder winters, while the South has fresh summer days and plenty of snow during the winter. Unemployment is less than in Britain, workers receive more bank holidays and the outdoor lifestyle provides a far better quality of life. Auckland, the country’s biggest city, has seen a lot of investment over recent years. This is mainly thanks to the 2003 America’s Cup yacht race which resulted in the city’s entire waterfront being regenerated. Bars, cafés and restaurants now line this thriving viaduct, while luxury apartments offer views to die for. The capital city of Wellington maybe somewhat windy, but it does boast the impressive Beehive – the unusually shaped parliamentary complex that’s home to the offices of the Prime Minister. House prices in the world’s most southern capital have grown by 9.5 per cent during the past year, resulting in an average house price of $440,455 (£155,500). The predominantly tourist destination of Queenstown, in the South Island, could be described as nothing better than an adrenaline junkies heaven. The original home of the bungee jump, Queenstown is proud to provide a diverse range of activities ranging from skiing in the winter to tramping (hiking to you and me) during the summer months. The process of purchasing a home in New Zealand is rather straightforward. When you have found a property you like you then put in an offer. This tends to be done in writing, and is subject to factors such as mortgage offers, searches and surveys. If this offer is accepted, you will be required to pay a ten per cent deposit which your solicitor will hold for you. When all the terms of the sale have been met by both the buyer and the seller, a contract will be signed. This contract is legally binding, and therefore neither party can pull out of the transaction once it has been signed. It usually takes around three weeks from the time of signing until you can take possession of the property. In total, the whole process will take around a month – it is extremely unusual for it to take any longer. If you have been granted permanent residency there are very few restrictions on the type, or the amount, of property that you are allowed to buy. If, however, you are coming in as an overseas investor then there is a certain amount of criteria that you must meet. The main instances are when the property costs more than $10 million (£3.52 million), when the property consists of more than five hectares, or when your plot is made up of coastal land and is larger than 2,000 square metres in size. In these three instances you will need to apply to the Overseas Investment Commission for approval to purchase, and it is likely that permission will only be granted if you can prove that you will be adding economic value to the country. Whatever type of property you decide to buy, you can rest assured that you won’t be gazumped, as accepting a written offer is legally binding.